Subaru of America is the latest automaker to launch a certified collision repair program, working with its dealerships as well as select independent body shops that will make getting your car repaired after a collision easier. 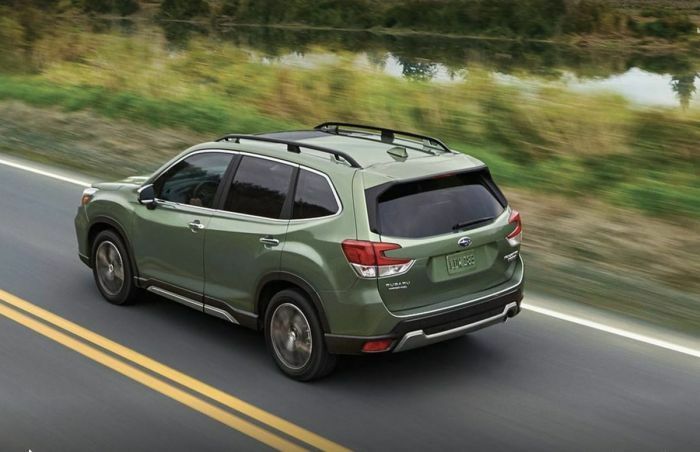 While Subaru vehicles like the 2019 Subaru Forester get new safety technology, customers will still be involved in accidents. According to a report by Automotive News, Subaru unveiled its new plan developed with Wadsworth International, a consultancy in suburban Philadelphia that will administer the program. Subaru isn’t the first automaker to do this as Wadsworth also provides administrative support to Jaguar Land Rover's collision certification program. Subaru plans to expand its pilot collision repair program into a national network this year, certifying 400 body shops by 2019. Subaru of America has 630 dealerships in the US. What are the benefits for Subaru customers? According to the reports, the intake process at the shop mirrors that of a dealership's service drive. Estimators meet customers in the body shop's service area to review collision damage. A key feature of Subaru's new certified collision repair program enables customers to use their mobile devices to get daily photos of their vehicle as it goes through the repair process. Collision repair centers that use AutoWatch operate more transparently and tend to repair damaged vehicles faster, Duplantier says. At the same time, the collision repair program allows Subaru to monitor a shop's repair practices and ensure it is complying with the certified network's standards. "We get collision center statistics, with cycle time and everything else that they're doing," says John Lancaster, Subaru of America's national wholesale parts manager. "We also get customer satisfaction information, and the customer gets great communication out of it."